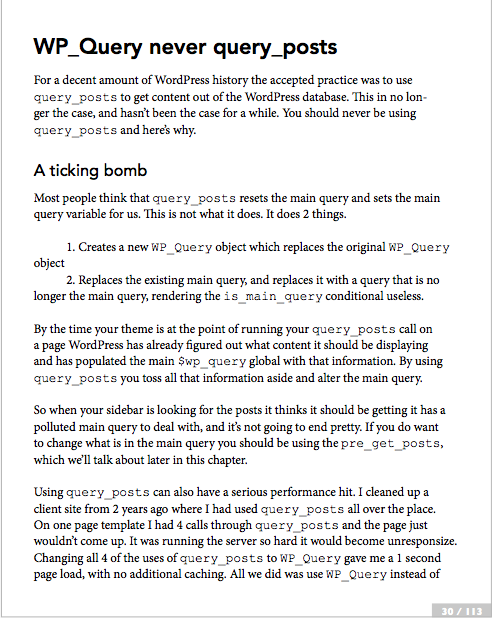 On this blog, I spend a significant amount of time talking about WordPress plugin development. It’s not that I dislike theme development, obviously, but I just don’t spend as much time working on them as I do plugins. Regardless, I often receive questions that are generally “where do I learn WordPress development?” And that’s always a hard question to answer because we all have different learning styles. Personally, I learn best by doing. This isn’t to say that I don’t actually read books, articles, sites, etc., but I have to put into practice what I’ve read, bang my head against the keyboard in order to decipher error messages (a common strategy, of course), and then move on to the next topic. But still, the question remains: where can someone learn WordPress Development? My answer to this question always varies based on how someone best learns – as mentioned above – and based on the what they want to learn, but if you interested in either theme development, plugin development, or both, then it may be worth checking out Becoming a WordPress Development Professional. 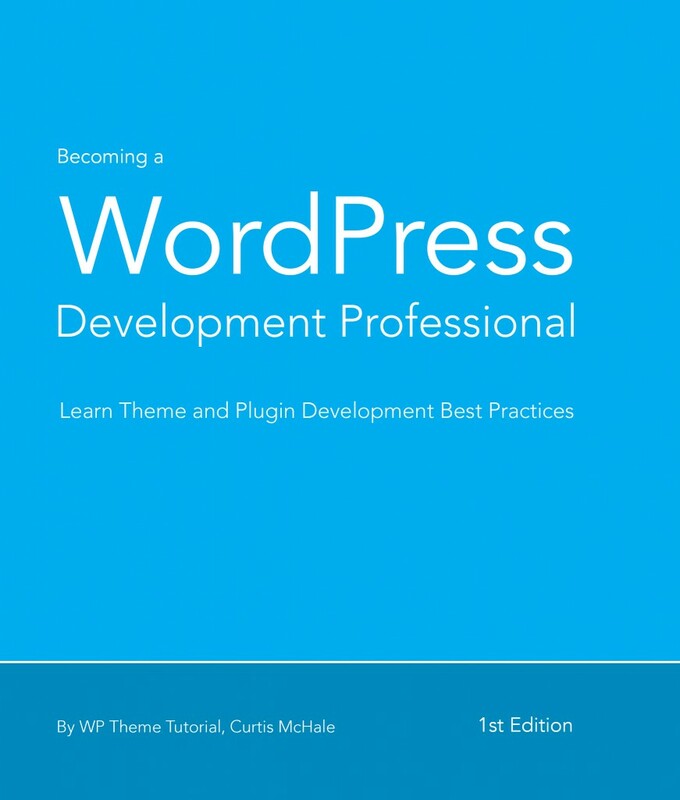 Becoming a WordPress Development Professional is an ebook written by a fellow tweep and respected WordPress developer Curtis McHale. Experienced developer from another language such as Ruby who needs to learn the “roadsigns” to follow to build quality WordPress stuff. The book covers all the topics I think you need to really learn to develop WordPress plugins/themes properly. It is not an exhaustive guide to building WordPress sites/plugins, but a guide so you know what the best practices you should be looking for are. 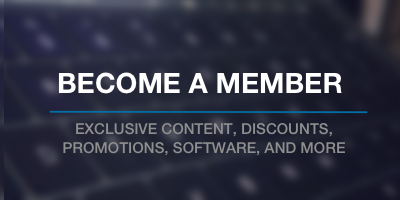 It also introduces you to actions and filters in WordPress. Of course, it’s much easier for me to share what the author himself has to say about the book than actually give my own review, right? But back when Curtis was drafting the book, I had the pleasure of being able to read through the material, and he’s been kind enough to share some of the material for you guys. 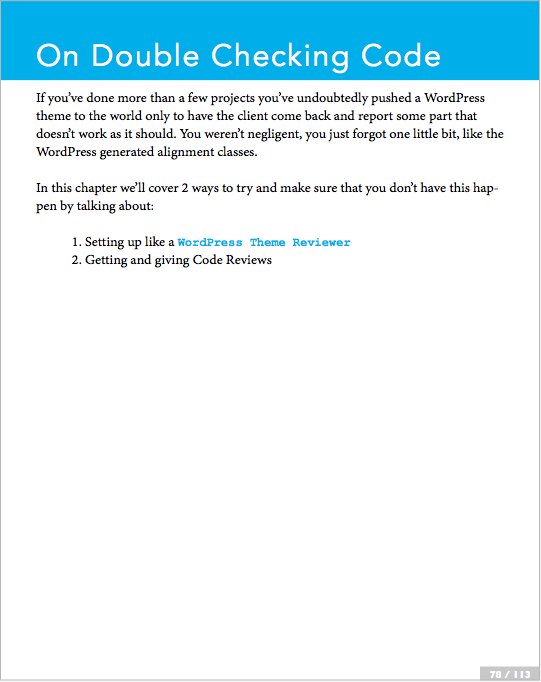 Obviously, three pages is just enough to give you a feel for the book – it doesn’t really provide any substantial material; however, if you’re a budding WordPress developer, I highly recommend checking out Curtis’ book. I think it’ll go a long way in helping to learn WordPress development – especially if you’re coming from another language, or are a beginning developer. Next PostNext Come Celebrate The WordPress 10 Year Anniversary in Atlanta!